The legendary hydraulic press is now heated to a thousand degrees to provide additional crushing pleasure. 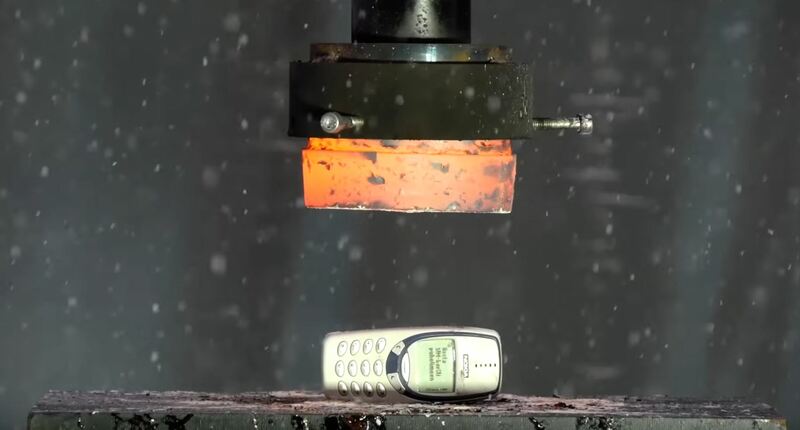 Here, in an unusually pointed metaphor, a Nokia candybar phone bursts into flame as it is compressed. What can defeat the hydraulic press? Glass!